Watch & Share the official trailer of the most awaited Malayalam Movie of 2015: Adi Kapyare Kootamani. Carnival Motion Pictures in association with Friday Film House presents Adi Kapyare Kootamani, releasing on 25 December, 2015. Presenting Ende Maavum Poothe FULL Songs from Malayalam movie Adi Kapyare Kootamani Produced by Carnival Motion Pictures in Association with Friday Film House, starring Dhyan Sreenivasan, Aju Varghese, Neeraj Madhav, Vineeth Mohan, Mukesh and Namitha Pramod. 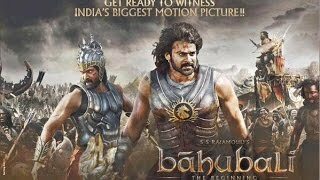 Pathemari" is not just a story... It is the true life events of a lot of people Watch the 2nd official trailer of Eros International’s “Pathemari”. Watch the lovely trailer of the new Malayalam Movie "Pathemari" Starring Mammootty. 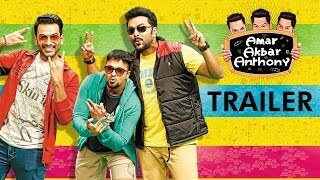 Watch the trailer of Amar Akbar Antony, a comedy thriller directed by the decorated comedian Nadirshah starring Prithviraj, Jayasurya & Indrajith. The music is also scored by Nadirshah and is one of the most highly anticipated Malayalam films this year. Check out the Video Song "Mele Mele" from our upcoming Malayalam film "Life of Josutty". Check out the Official Teaser of our upcoming Malayalam movie “Life Of Josutty”. 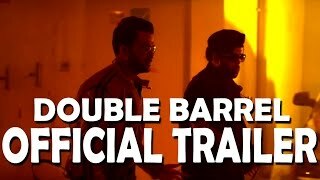 Double Barrel, also known as Iratta Kuzhal, is an upcoming Malayalam comedy thriller film written and directed by Lijo Jose Pellissery.The film stars an ensemble cast of Prithviraj Sukumaran , Arya, Indrajith Sukumaran,Asif Ali,Sunny Wayne, Swathi Reddy,Rachana Narayanankutty and Isha Sharvani and is jointly produced by Prithviraj, Santhosh Sivan, Arya and Shaji Nadesan under August Cinema and Lijo Jose Pellissery Under Amen Movie Monastery. Prashant Pillai composes the music while Abhinandan Ramanujam is the cinematographer. Acha Dhin is an upcoming Malayalam film directed by G Marthandan; which will see Mammootty and Mansi Sharma in leads. Nirnaayakam is a strong family drama dealing with a major social issue, shot at National Defense Academy Pune, Mysore and Cochin.